« Our Halloween presents to the teachers . . . Attack of the walking skeletons! 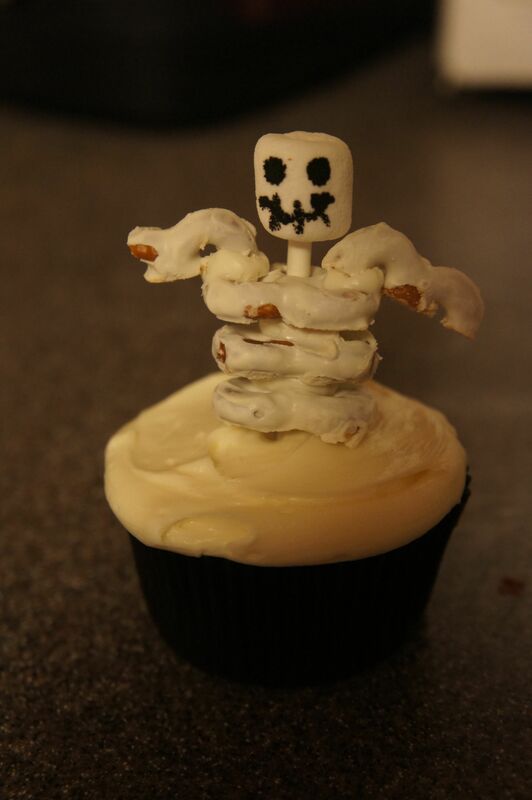 I had a hard time coming up with a fun Halloween cupcake this year. Of course, I think I made it more difficult by waiting until the last minutes to come up with the idea. 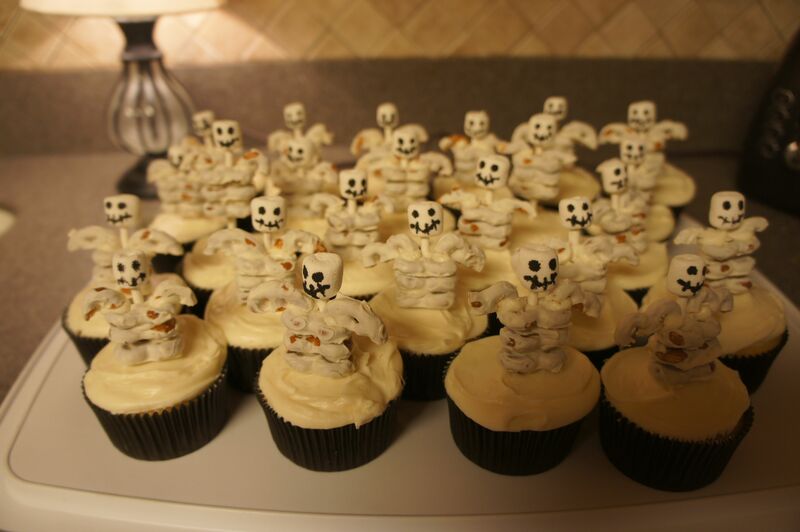 The final result were the skeleton cupcakes.